The clear night skies last week provided the perfect backdrop for this year’s Hunter’s Moon. The Hunter’s Moon is the first full moon after the Harvest Moon, which is the full moon nearest the autumnal equinox. This year’s harvest moon fell in September just six hours after that equinox. The Hunter’s Moon usually appears in October, but remember the lunar cycle is not constrained by our calendar and sometimes the Hunter’s Moon does not appear till November. This moon helps mark the northern hemisphere’s tumble from the sun as the Earth spins into its dark phase of short days and long nights. 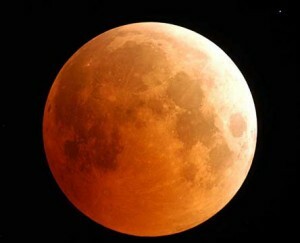 According to EarthSky (http://earthsky.org/) the moon normally rises about 50 minutes later each successive day. However, that time is shortened during the Hunter’s Moon and it grows shorter the farther north one goes. Here and in other mid-latitude (between 30 and 60 degrees) areas like Washington DC and Boston that time diminishes to about 30 minutes daily. By the time you make it to Fairbanks, Alaska the Hunter’s Moon will rise at approximately the same time for several days in a row. This makes evenings under the Hunter’s Moon a really special time as there is no real period of darkness between the setting sun and the rising moon. The Earth slides uninterrupted from the sun’s golden yellow to the moon’s liquid amber. As the hunter, Orion, takes prominence in the northern hemisphere sky one would think he would take great pride in the full Hunter’s Moon, after all it was his ego that got him there. However, there might be a little conflict of interest as this year’s Hunter’s Moon completely whitewashed the Orionid meteor shower. The peak for the Orionids this year was between 1 a.m. and dawn last Thursday (Oct. 21) but only the most devoted falling star catchers would have bothered to stare into the face of the glowing Hunter’s Moon. The Hunter’s Moon is also obscuring Comet Hartley 2. Named after astronomer Malcolm Hartley who discovered the comet in 1986, Hartley 2 passes through about every 6 and-a-half years. The comet was closer to Earth (11.2 million miles) on October 20 than it has ever been since its discovery. But the bright moon and the small size of the comet made it difficult to see. Hartley 2 is about .8 miles in diameter. If it were the size of Halley’s Comet (5 miles in diameter) it would have been like having two full moons. However, if you’re late to bed or early to rise there should be decent views of Hartley 2 at the end of October and beginning of November. The comet will be near the constellation Gemini, on the eastern horizon in the pre dawn darkness. On October 28 the comet and the moon will be very close as the moon passes through Gemini. If you don’t get a good in-person view of Hartley 2, NASA’s got you covered. After being sling-shot around Earth’s orbit in June to gain momentum NASA’s Deep Impact/EPOXI is set to rendezvous with Hartley 2 on November 4. The close encounter of satellite-kind should provide some outstanding imagery.